For sale: David Beckham's old Golf | What Car? 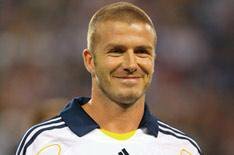 A Volkswagen Golf 1.4 that was once owned by David Beckham has gone on sale, according to The Sun. The Golf, owned by Beckham when he was 19 and before his Manchester United debut, has been put up for sale by Gez Keogh from Hampshire. Mr Keogh is selling the car for 1995. However, The Sun says the current owner is having trouble finding any buyers for the car. What Car? Used Car Editor Matt Sanger told us he was not surprised: 'If we were talking about a Ferrari or Bentley it might be different, but this is basically an overpriced Golf.